Gauss rifle (Operation: Anchorage) - The Vault Fallout Wiki - Everything you need to know about Fallout 76, Fallout 4, New Vegas and more! The Gauss rifle is an advanced sniper rifle in the Fallout 3 add-on Operation: Anchorage. A Chinese variation on the German design, the scoped Gauss rifle was originally deployed in the Sino-American War. Unlike the original weapon, it features eleven coilgun stages, resulting in a higher damage output. The weapon is larger and bulkier to accommodate the increased stress put on the weapon and uses a different feed system. While the standard 2mm EC magazines incorporate both slugs and ammunition, the Chinese Gauss rifle has to be loaded with ferromagnetic slugs separately, with microfusion cells loaded into the battery well in front of the trigger group. The cell is used to power the magnetic accelerator and fire the slug and has to be replaced after each shot. The immense recoil generated by the weapon is mitigated somewhat by a long muzzle brake and a leather recoil pad. The bulk of the weapon also helps make it more manageable. However, the pay off is more than generous, as the sheer kinetic energy of the projectile creates a shockwave on impact, dealing additional damage to the target and potentially knocking them off balance. The sheer firepower of the weapon has resulted in the design being used by the American military against the Chinese, both in the form of captured units and a limited production run of reverse-engineered units. The Gauss rifle is excellent in combat outside of V.A.T.S. (due to bugs), though as with all sniper rifles, it works best on long ranges. 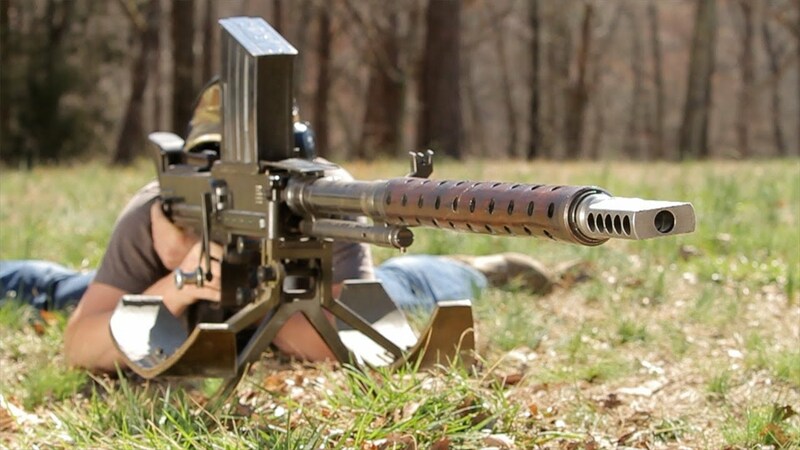 The low fire rate and relatively long reload times disqualify it from fighting at closer ranges. Notably, the rifle knocks down enemies whenever a critical hit is scored and does it better than the Victory rifle. The version appearing in the simulation has practically infinite health (extremely high). Cut content Gauss rifle: A test version with lower damage, a five shot magazine, and a 100% knockdown chance. Outcast Outpost: Found in the armory after completing the simulation, alongside 300 microfusion cells. The Guns of Anchorage: Left behind by an American paratrooper shot by Chinese soldiers. U.S. Army field headquarters: The player can obtain a replacement for the above from the Quartermaster with a Speech check. Carried by a power armored soldier during the fight with General Jingwei. The weapon appears to be based on a Finnish anti-tank rifle, the 20mm Lahti L-39. PC PlayStation 3 Xbox 360 The wasteland version of the Gauss rifle cannot be used by followers. PC PlayStation 3 Xbox 360 The scope is not zeroed properly, shots will fly off to the upper-right of the scope target at range. PC PlayStation 3 Xbox 360 Damage done by the shot may fail to register (knock down will work as usual). PC PlayStation 3 Xbox 360 The Gauss rifle does not work correctly in VATS. Each shot will only do 95.244% of the maximum damage, ignoring all modifiers. PC PlayStation 3 Xbox 360 If the player character is knocked down, the rifle may become dislodged from the character and fly off, but remain listed as equipped. Re-equipping it fixes it. PC PlayStation 3 Xbox 360 The weapon has the hide backpack flag set, meaning it will remove any backpack components (such as the rear tanks on power armor) despite not having a backpack set. The scope view and the required aim compensation for a head shot. A Chinese propaganda poster featuring the weapon. Translation: "Long live the People's Liberation Army!" ↑ The weapon is seen in the hands of an U.S. paratrooper and can be received by the player under the table from the American quartermaster in the Operation: Anchorage simulation. ↑ The weapon is found in the hands of Brotherhood of Steel Paladins in the Mojave and former Elder Elijah in significant numbers. This page was last edited on 18 April 2016, at 12:52.